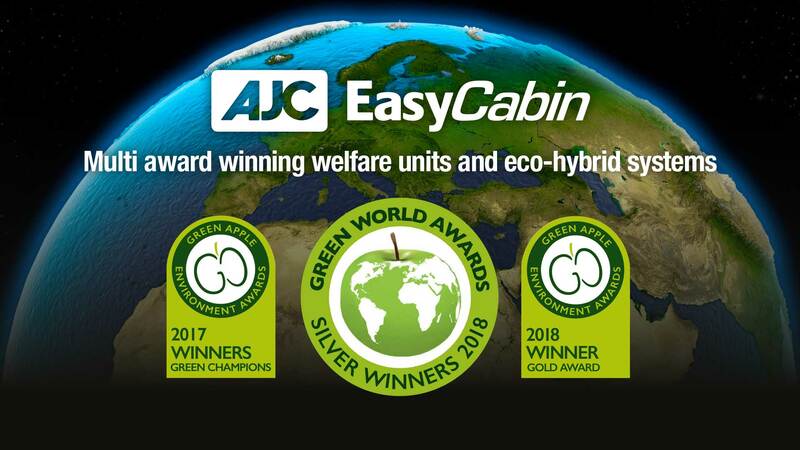 AJC EasyCabin, the leading pioneers in the production of sustainable temporary accommodation is celebrating further successes. Their engineering excellence has been, once again, formally recognised by the leading environmental campaigners – the Green Organisation. 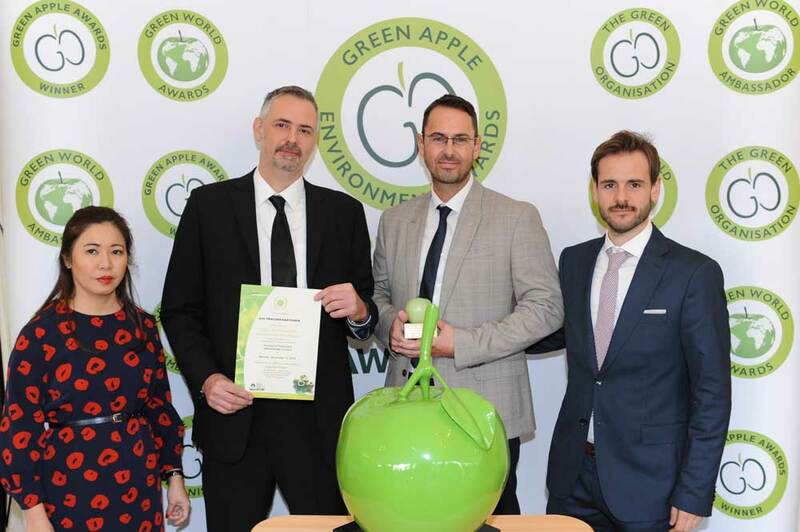 AJC’s Simon Fletcher, Jose Martin & David Hallam, representing the company’s engineering and marketing departments, were invited to the Houses of Parliament to accept the Green Apple Gold Award for their highly innovative product – the Solar Box (patent pending). “The power needed to operate these facilities is usually provided via a generator fuelled by diesel. The generators are sometimes running continuously with heavy usage, thus expelling harmful exhaust emissions, alongside the expensive use of fossil based fuels. The Solar Box also reduces noise.” continued Simon. The result of this project was the unveiling of the AJC EasyCabin Solar Box (patent pending). The AJC EasyCabin Solar Box is a product packed with advanced, sustainable technology. This makes the AJC EasyCabin Solar Box an ideal product to fit in with the modern approach to bring about the reduction in fossil fuel usage and the eventual elimination of carbon emissions into the atmosphere. A significant increase in energy efficiency when compared to a continuously running 6.0kVA generator. Automatic operation – no user input needed. Fast start-up and efficient running for all essential services; i.e. hot water and lighting with sufficient power to run all services using hybrid eco-technology and carefully selected low maintenance components. AJC EasyCabin has also recognised that heating efficiency was necessary in temporary accommodation. Therefore alongside the AJC EasyCabin Solar Box they have produced an ‘Air’ diesel heating system that saves energy and lowers noise when compared to standard heating. The heating system is fully automatic and does not need a generator for the heat to be produced. The Green Apple Gold Award was presented to Simon, Jose & David on 12th November 2018. This is the third such award, having already secured a Green Champion Award in 2017 and a Green World Award earlier this year. Image: Simon Fletcher (right-centre), Jose Martin (right) and David Hallam (left-centre) are handed their Green Apple Award by Yung Burden, The Green World Champion from PGT Reclaimed of Vietnam (left).